The University of California is laying off a group of IT workers at its San Francisco campus as part of a plan to move work offshore. The layoffs will happen at the end of February, but before the final day arrives the IT employees expect to train foreign replacements from India-based IT services firm HCL. The firm is working under a university contract valued at $50 million over five years. This layoff may have huge implications. That's because the university's IT services agreement with HCL can be leveraged by any institution in the 10-campus University of California system, which serves some 240,000 students and employs some 190,000 faculty and staff. UCSF, which runs professional schools in dentistry, medicine, nursing and pharmacy as well as a medical center, has a 565-member centralized IT department. This layoff affects 17% of UCSF's total IT staff, broken down this way: 49 IT permanent employees will lose their jobs, along with 12 contract employees and 18 vendor contractors. This number also includes 18 vacant IT positions that won't be filled, according to the university. UCSF has also been relocating some IT equipment to a Dell data center in Quincy, Wash., under a separate agreement. Similar to the HCL contract, the Dell contract can also be used by other university IT departments. It has also signed a contract with security provider FireEye. UCSF believes its various vendor contracts will save it $30 million over the next five years. If that happens, it may prompt other campuses to take a similar approach. Employees had been warned about the possibility of outsourcing, but the news did not come easy. "It's very troubling," said one affected IT employee. Employees contacted asked that their names not be used. Although the university is partially state funded, "California employees are losing their jobs because you're moving their jobs to Washington," referring to the Dell data center. "That's the first problem, the second problem is people are losing their jobs because outsourcers from another country are coming in to take their positions, that's insulting." A second IT employee said he suspects that the San Francisco campus is just the "first one" among the campuses to take this route. The university's IT employees "are passionate about what they are doing and they want to bring innovation to the hospital," said this employee. But by turning to contractors, the university is hurting its ability to innovate, is losing institutional knowledge and is putting cost reductions over its mission to be "the best provider of healthcare services," he said. "A hospital that is focusing on cost is losing the meaning of its own existence," said this employee. "There needs to be a public discussion about what they are doing here," he said. Joe Bengfort, the CIO for the UCSF campus, said the campus is facing "difficult circumstances" because of declining reimbursement and the impact of the Affordable Healthcare Act, which has increased the volume of patients but limits reimbursement to around 55 cents on the dollar, he said. Bengfort, in an interview, said that over the past five years, which saw the advent of electronic medical records, IT has moved from being responsible for 3% of operating expenses to 6%. That includes more spending on IT security and analytics. But these investments have also improved efficiency, he said. HCL will provide data center monitoring and operations, server, storage, database, middleware and Citrix, as well as network operations, routers, switches, firewalls, load balancers, WLAN controllers. Other services will include unified communications -- telephony, email, chat, SharePoint, audio and video conferencing -- and application maintenance for PeopleSoft, C#, .Net and Java apps. It will also provide application development augmentation services, according to the university. What the university is outsourcing, said Bengfort, are IT functions "that are widely available in the IT services marketplace," he said. Its innovation efforts are focused more on the data and analytics than on the operation of the data center and network, said Bengfort. The remaining IT functions are those "that require direct knowledge of UCSF and its mission," said Bengfort, including engineering skills to develop new applications in analytics and high-performance computing. IT functions "that have a direct and consistent interaction with end users," including help desk will remain internal, he said. Bengfort isn't ruling out the possibility that the outsourcing can be expanded above the current 17% of staff, but "I think we're always going to maintain substantial capability internally," he said. "I have a great deal of respect for the people that do the work," said Bengfort, of the affected employees, "and I respect the fact that they are personally impacted and it's a very hard thing for them," he said. The employees believe what this campus is doing is a "pilot" for the university system, but Bengfort said that's not the case. He said he expects that other IT departments in the UC system will be watching it, but there is no expectation that anyone else will take a similar route. Data security, especially patient data security, is one of the first issues raised in offshore moves, but insurance firms and hospitals routinely use offshore providers, said Joseph Kendall, a partner at law firm Pillsbury Winthrop Shaw Pittman. There is no prohibition against accessing "protected health information" -- as it's called under law -- offshore. What firms do is ensure that the offshore firm is contracted to protect the data, he said. Bengfort said the data will remain in the U.S., and offshore contractor access to it will be through physically controlled rooms, with no paper or cameras allowed, using virtual desktop infrastructure (VDI). There will be monitoring of access, he said. The type of IT worker displacement at UCSF is routine in the private sector. But the University of California is a public institution, partially supported by tax dollars, and this action may generate controversy over two key issues. 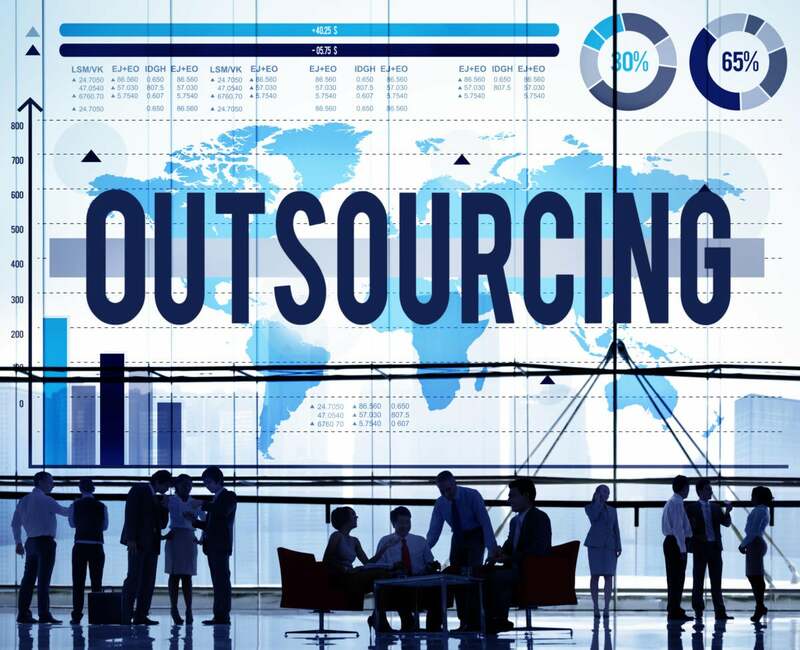 Governments and publicly supported institutions have contracted with offshore outsourcers, but usually it's for new IT work or to supplement an existing project. Laying off IT workers as part of a shift to offshore is somewhere between rare and unheard-of in the public sector. There was no estimate on the number of IT employees in the entire UC system, but the IT staff may easily number in the thousands. A second issue involves the use of foreign workers. UCSF employees say the training of the HCL staff has not begun, so they don't know yet if they will be training visa-holding replacements. But HCL, along with many other offshore firms, is considered H-1B dependent under law, meaning 15% or more of their U.S. workers are here on an H-1B visa. HCL and Cognizant were sued earlier this year by laid-off Disney IT employees, who allege the law was broken when they were replaced by visa workers. "It is shocking that the California state government is exploiting loopholes in guest worker programs to destroy American jobs," said Ron Hira, a public policy professor at Howard University, who has testified on H-1B use in Congress. "It is a particularly egregious abuse of the H-1B program since the chancellor of the UC system is Janet Napolitano who served as President Obama's Secretary of Homeland Security, which oversees the flawed H-1B program," said Hira. "She well knows how the program destroys American jobs and subsidizes offshoring. For her to OK this abusive use of the program is embarrassing. She cannot plead ignorance," he said. Offshore outsourcing is not a new issue for California. In 2004, California lawmakers approved legislation prohibiting state and local entities from offshoring work, but the bill was vetoed by then-governor Arnold Schwarzenegger (R). "While this bill purports to be about saving jobs, it would actually be detrimental to our economy and the creation of new jobs in this state," wrote Schwarzenegger in his veto message. "This bill adds additional restrictions on state contractors, thereby resulting in less competition at the state and local levels" and ultimately resulting in higher prices paid by governmental entities for goods and services, he wrote. In 2015, following Southern California Edison's decision to cut some 500 IT workers after hiring two India-based offshore outsourcing firms, the California State Assembly approved legislation asking the federal government to investigate the H-1B visa program. But this legislation stalled in the state Senate. In 2003, one year before Schwarzenegger's veto, a UCSF outsourcing contract made the news. A medical transcriptionist in Pakistan threatened to expose patient records unless she was paid more.